Conducted by Claudio Abbado, one of the most celebrated and respected conductors of the 20th century, the Lucerne Festival Orchestra performs La mer, trois esquisses symphoniques pour orchestre (English: The sea, three symphonic sketches for orchestra), or simply La mer (i.e. The Sea), an orchestral composition (L 109) by the French composer Claude Debussy. Recorded live during the Lucerne Festival at the Concert Hall of the Culture and Convention Center Lucerne on August 14, 2003. Published by the EuroArts channel. 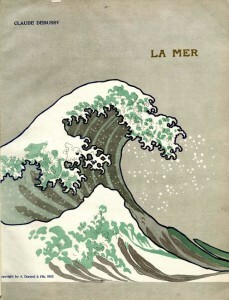 La Mer (“The Sea”) is not only the title of Debussy’s orchestral masterwork, but an apt metaphor for his innovative art. The work was started in 1903 in France and completed in 1905 at Grand Hotel Eastbourne on the English Channel coast. The premiere was given on 15 October 1905 in Paris, by the Orchestre Lamoureux under the direction of Camille Chevillard. It was initially not well received, but soon became one of Debussy’s most admired and frequently performed orchestral works. La mer is a masterpiece of suggestion and subtlety in its rich depiction of the ocean, which combines unusual orchestration with daring impressionistic harmonies. The work has proven very influential, and its use of sensuous tonal colors and its orchestration methods have influenced many later film scores. While the structure of the work places it outside of both absolute music(1) and programme music(2) as those terms were understood in the early 20th century, it obviously uses descriptive devices to suggest wind, waves and the ambience of the sea. But structuring a piece around a nature subject without any literary or human element to it – neither people, nor mythology, nor ships are suggested in the piece – also was highly unusual at the time. As a young boy, Debussy’s parents had plans for him to join the navy. Debussy himself even commented on his fond childhood memories of the beauties of the sea. However, as an adult composing “La mer,” he rarely visited the sea, spending most of his time far away from large bodies of water. Debussy drew inspiration from art, “preferring the seascapes available in painting and literature…” to the physical sea. This influence lends the piece its unusual nature. Debussy called La mer “three symphonic sketches,” avoiding the loaded term symphony. Yet the work is sometimes called a symphony; it consists of two powerful outer movements framing a lighter, faster piece which acts as a type of scherzo. But the author Jean Barraqué (in “La Mer de Debussy,” Analyse musicale 12/3, June 1988,) describes La mer as the first work to have an “open” form – a devenir sonore or “sonorous becoming… a developmental process in which the very notions of exposition and development coexist in an uninterrupted burst.” Simon Trezise, in his book Debussy: La Mer (Cambridge, 1994) notes, however, that “motifs are constantly propagated by derivation from earlier motifs” (p. 52). Simon Trezise notes that “for much of La Mer, Debussy spurns the more obvious devices associated with the sea, wind, and concomitant storm in favor of his own, highly individual vocabulary” (p. 48–49). Caroline Potter (in “Debussy and Nature” in The Cambridge Companion to Debussy, p. 149) adds that Debussy’s depiction of the sea “avoids monotony by using a multitude of water figurations that could be classified as musical onomatopoeia: they evoke the sensation of swaying movement of waves and suggest the pitter-patter of falling droplets of spray” (and so forth), and — significantly — avoid the arpeggiated triads used by Wagner and Schubert to evoke the movement of water. The Great Wave off Kanagawa (“In the well of a wave off Kanagawa”), also known as The Great Wave or simply The Wave, is a woodblock print by the Japanese ukiyo-e artist Hokusai. It was published sometime between 1830 and 1833 in the late Edo period as the first print in Hokusai’s series Thirty-six Views of Mount Fuji (富嶽三十六景 Fugaku sanjūrokkei?). 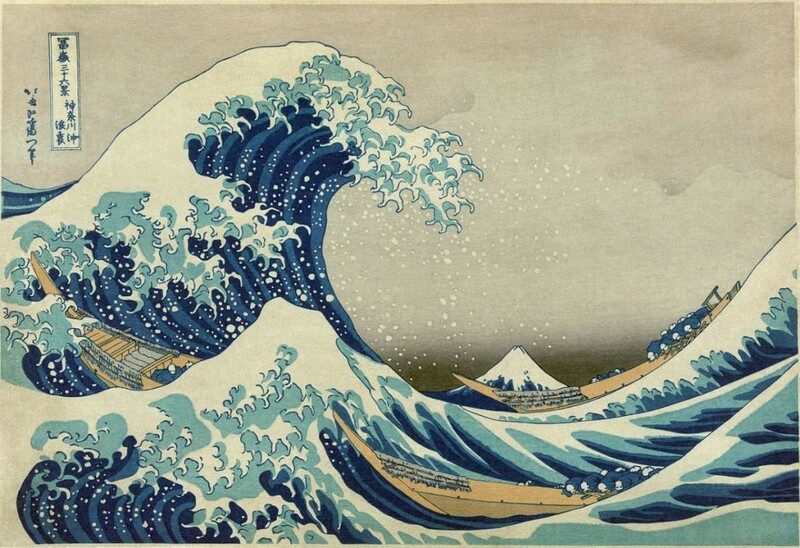 It is Hokusai’s most famous work, and one of the best recognized works of Japanese art in the world. It depicts an enormous wave threatening boats off the coast of the prefecture of Kanagawa. While sometimes assumed to be a tsunami, the wave is, as the picture’s title suggests, more likely to be a large rogue wave. As in all the prints in the series, it depicts the area around Mount Fuji under particular conditions, and the mountain itself appears in the background. 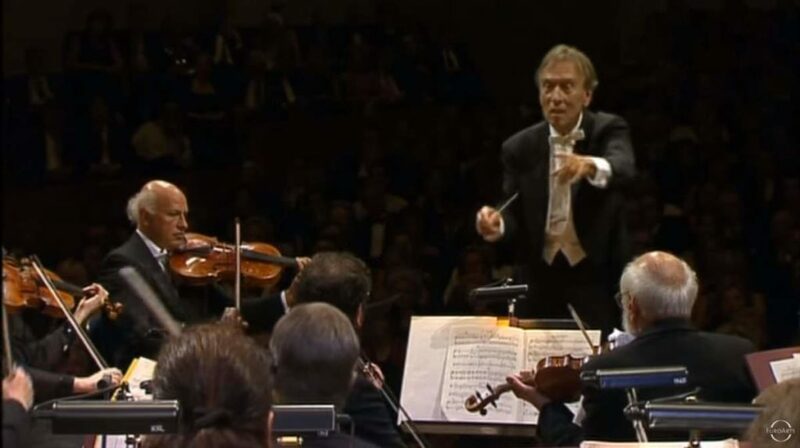 Claudio Abbado and the Lucerne Festival have enjoyed a close musical relationship spanning nearly four decades. Like many now world-famous conductors, Abbado, too, made his début in Lucerne at the rostrum of the Swiss Festival Orchestra, which from 1943 to 1993 made a decisive mark on the summer music festival. lt was in 1966 that he first conducted the ensemble, made up of Switzerland’s best musicians. This was the time when the young conductor also presented himself to the Vienna and Berlin Philharmonic Orchestras. Since then Abbado has been a regular guest on the shore of Lake Lucerne. He came with the Vienna Philharmonic, the London Symphony Orchestra and the Philharmonia Orchestra, and was the first person to bring the music of Luigi Nono to Lucerne, the piece in question being II canto sospeso, which he performed in 1979 with the Orchestra del Teatro alla Scala Milano. In 1989 Abbado was elected Chief Conductor of the Berlin Philharmonic, and with this orchestra, which had been associated with the festival for decades, he now came to Lucerne every year from the end of August to the beginning of September. Exactly five years ago Abbado and the Berlin Philharmonic had the honour of performing the opening concert in the new concert hall of the Lucerne Culture und Conference Centre, designed by Jean Nouvel and Russell Johnson. Abbado did not, however, just come to Lucerne as the chief conductor of several major European orchestras. Ha has always been committed to promoting young talent, und has founded several youth orchestras, which he has introduced at the Lucerne Festival. He performed there in 1980 and 1985 with the European Community Youth Orchestra, in 1986 and 1988 with the Chamber Orchestra of Europe, and in 1996 with the Gustav Mahler Youth Orchestra. The new Lucerne Festival Orchestra is an internationally unique orchestra formed for summer 2003, which right at the start of the festival ensured great musical moments and global headlines: “A conductor is back, an orchestra reborn”, wrote The New York Times; “The marvel in Lucerne”, acclaimed Berlin’s Tagesspiegel. With this newly formed orchestra Abbado was continuing the long tradition of a resident festival orchestra, begun by Arturo Toscanini at the first Lucerne Summer Festival with a “Concert de Gala” when he conducted in front of Wagner’s former residence in Tribschen in 1938.
lt has been in the new Lucerne Festival Orchestra that famous musicians have met and, exclusively in this grouping, given performances of works from the symphonic repertoire. The orchestra’s principal desks have been occupied by soloists such as Kolja Blacher, Renaud und Gautier Capucon, Wolfram Christ, Stephan Dohr, Georg Faust, Natalia Gutman, Albrecht Mayer, Emmanuel Pahud, Diemut Poppen and Alois Posch, as well as by members of the Hagen Quartet and the Ensemble Sabine Meyer. The basis has been provided by the Mahler Chamber Orchestra – around 50 musicians with whom Abbado has collaborated for years. In general it is important to this conductor to collaborate with musicians with long experience of making music together, and this particularly applies to chamber music, which, as it were, represents an advanced school of mutual listening. Absolute music (sometimes abstract music) is music that is not explicitly “about” anything; in contrast to program music, it is non-representational. The idea of absolute music developed at the end of the 18th century in the writings of authors of early German Romanticism, such as Wilhelm Heinrich Wackenroder, Ludwig Tieck and E. T. A. Hoffmann but the term was not coined until 1846 where it was first used by Richard Wagner in a programme to Beethoven’s Ninth Symphony. Program music or programme music is a type of art music that attempts to musically render an extra-musical narrative. The narrative itself might be offered to the audience in the form of program notes, inviting imaginative correlations with the music. A paradigmatic example is Hector Berlioz’s Symphonie fantastique, which relates a drug-induced series of morbid fantasies concerning the unrequited love of a sensitive poet involving murder, execution, and the torments of Hell. The genre culminates in the symphonic works of Richard Strauss that include narrations of the adventures of Don Quixote, Till Eulenspiegel, the composer’s domestic life, and an interpretation of Nietzsche’s philosophy of the Superman. Following Strauss, the genre declined and new works with explicitly narrative content are rare. Nevertheless the genre continues to exert an influence on film music, especially where this draws upon the techniques of late romantic music.The term is almost exclusively applied to works in the European classical music tradition, particularly those from the Romantic music period of the 19th century, during which the concept was popular, but pieces which fit the description have long been a part of music. The term is usually reserved for purely instrumental works (pieces without singers and lyrics), and not used, for example for Opera or Lieder. Single movement orchestral pieces of program music are often called symphonic poems.Absolute music, in contrast, is intended to be appreciated without any particular reference to the outside world.